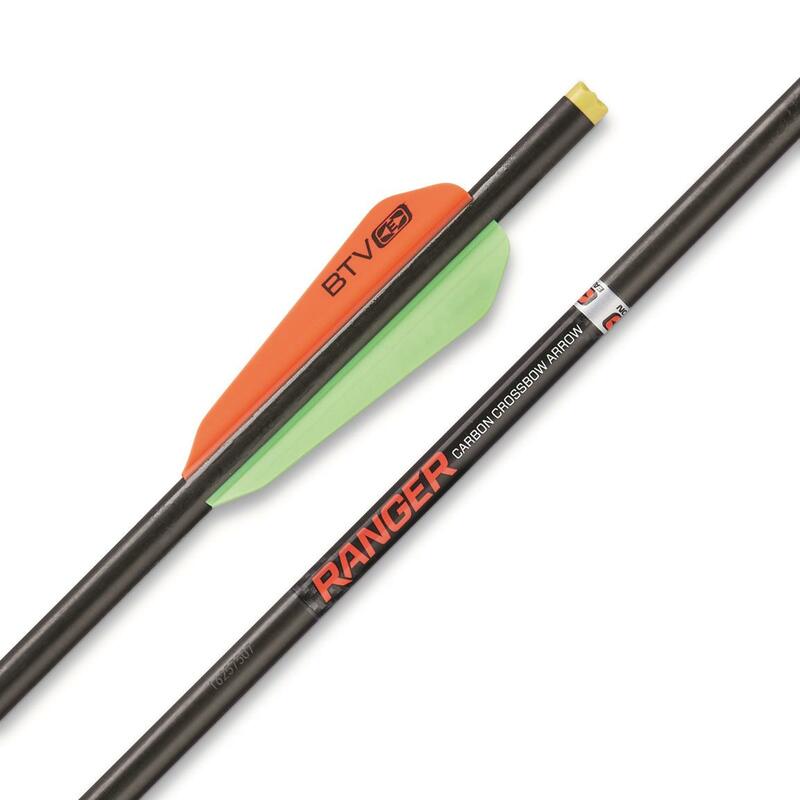 Designed for use with the Wicked Ridge® Ranger Crossbow, these Carbon Crossbow Arrows will put you on the mark with extreme accuracy. Each Carbon Crossbow Arrow is fletched slightly offset and comes fitted with a SuperBrite Omni-Nock and 15-grain aluminum insert. Wicked Ridge Ranger Carbon Crossbow Arrows, 6 Pack is rated 4.8 out of 5 by 8. 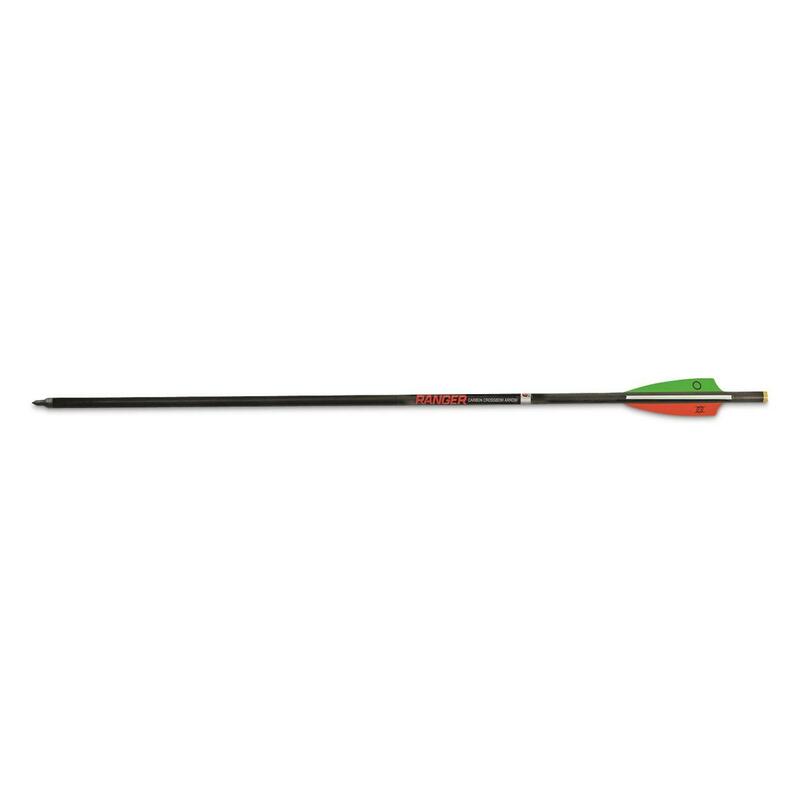 Rated 5 out of 5 by jdrake10 from Good arrows, fly consistent I have shot a lot of different arrows. The Wicked Ridge Ranger Carbons fly as good as any of them. Rated 5 out of 5 by Biggg doggg from 11 point success Accurate shot. Great penetration. Went 25 yards and watched it fall. Rated 4 out of 5 by Ejlocke84 from Great arrow Great arrow. Had about an inch drop difference between practice tip and field trip. Rated 5 out of 5 by Papa Jim from One of the best crossbows I have shot. It’s so light and small I love it. Easy to move through the woods.